The holiday season usually presents some major drains on your wallet. You have to buy presents, purchase decorations and possibly even bake lots of goodies for family and friends. You don’t need an extra expense in the form of music. If you want to nab some great holiday tunes for free, check out these websites that allow you to download free Christmas music legally. 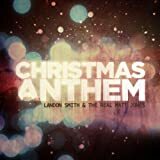 Check out Amazon’s free Christmas song list here. There are 19 free downloads in this list. Just click “Get mp3” next to your favorite songs. That’s not all. 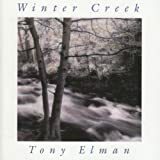 Amazon offers one new free song per day for the 25 days leading up to Christmas. Check the site daily during the month of December to grab these free tunes. 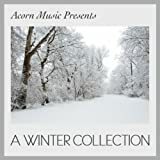 Free Christmas music on Amazon! Last.fm is a site that offers a wealth of music in lots of different categories. The section of holiday music on this site can be found here. Browse through new songs and renditions of old classics. If you get tired of the same old stuff, you’ll find some humorous new Christmas tunes here also. Just click the “free mp3” icon next to a song and click “save” to save it to your computer. At feelslikechristmas.com, you’ll find a wide variety of songs ranging from old to new. 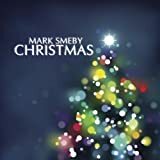 Click on the “Free Christmas Music Downloads” tab to access a drop-down menu with the following options: traditional instrumental, traditional vocal, contemporary instrumental and contemporary vocal. Right-click on the title of your choice and choose “Save target as.” Then name the file and click “Save” to store it on your hard drive. Cruise over to AccuRadio to listen to your favorite holiday classics, new releases and fun and unique channels, such as these holiday stations: Holidays Radion, A Brazilian Christmas, Blue & White Christmas, Contemporary Christian Music (CCM) Christmas, Celtic Christmas, Channel O, Christmas Country, Christmas Oldies, Christmas Standards and many more. If you and your family and friends enjoy belting out the songs of the season, you can score some free Christmas karaoke tracks at karaoke-version.com. You’ll need to create an account with the website, which is free. This registration process involves basics like entering your name, email and creating a password. Once you’ve done that, click on the title that you want and click “download.” Then click “Save,” and the file will save to your hard drive. Don’t waste your money on expensive holiday CDs or mp3 downloads. You don’t have to spend money on Christmas music if you take advantage of the wealth of free, legal Christmas songs on these websites. Merry Christmas and happy listening! You can find Christmas Music Downloads for free on Amazon.